Genna is an Italian-made shelving unit extension created by the Habitat Design Studio. It is practical, elegant and is the perfect showcase for your books and decorative items, thanks to its numerous shelves and handle-less storage cupboards, which lend it a minimalist, streamlined look. 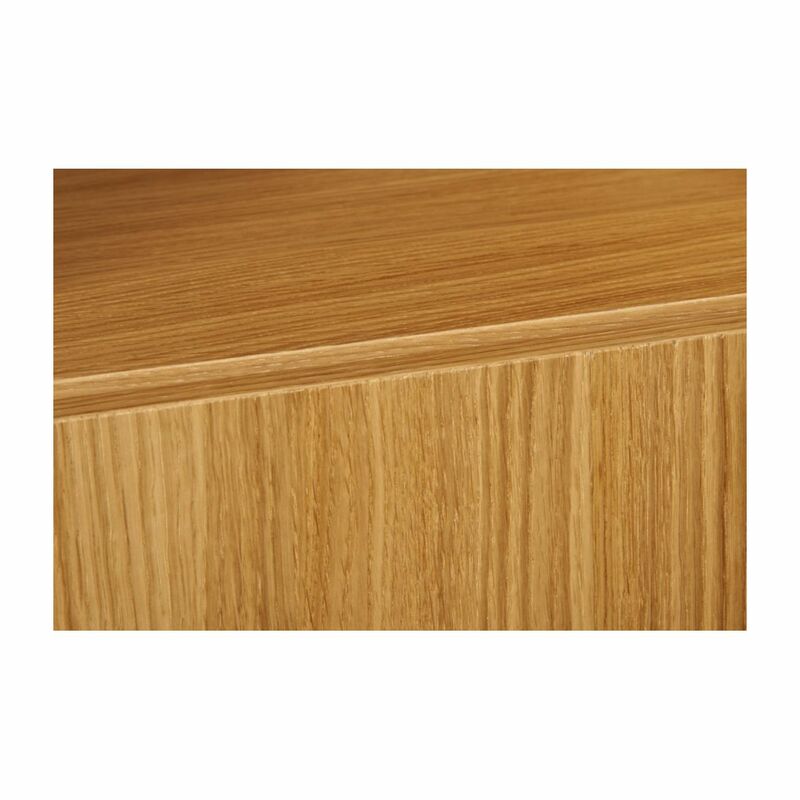 The range comes in oak veneer or shiny white lacquer. Extensions are available. Modular storage units and shelving units made in Italy from particle board and alveolar board in high-shine lacquer or matt oak veneer finish. The doors are fitted with push-pull catches giving a streamlined look with no handles. Available in oak veneer or white lacquered finish. A 90.1 cm by 51.1 cm extension is available. Modular. Requires home-assembly.